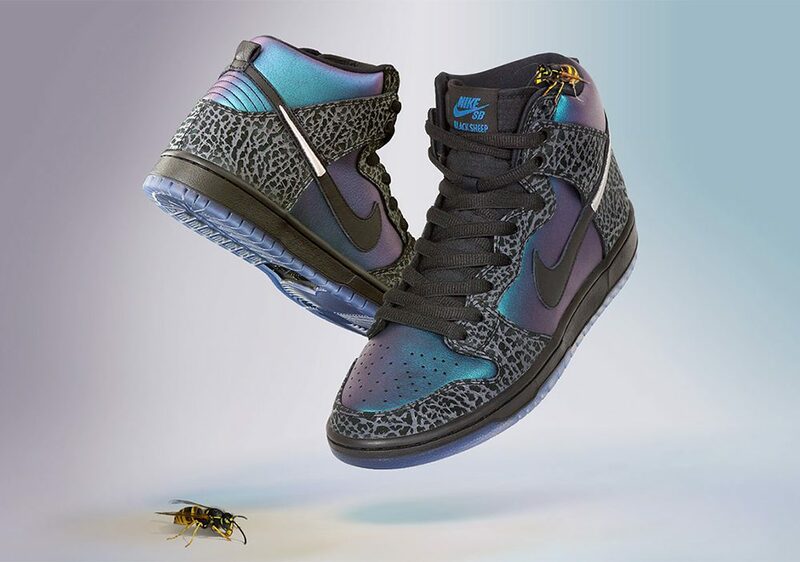 Nike SB’s latest Dunk High with North Carolina’s Black Sheep is set to debut on February 15 during All-Star Weekend in Charlotte as a part of SB’s current NBA collaboration.The shoe pays tribute the Hornets through its color scheme; and the elephant print on the toe and eyelets is a nod to team owner Michael Jordan. After Black Sheep’s drop on the 15th, the shoe is set for a wider release on the 22nd. Have a look at the Black Hornet’s details below.